The rendering above is for the next major building planned for the NanoCollege empire's capital at Fuller Road and Washington Ave Ext in Albany. Specifically, it's the College of Nanoscale Science and Engineering's Zero Energy Nanotechnology building, or just "ZEN." 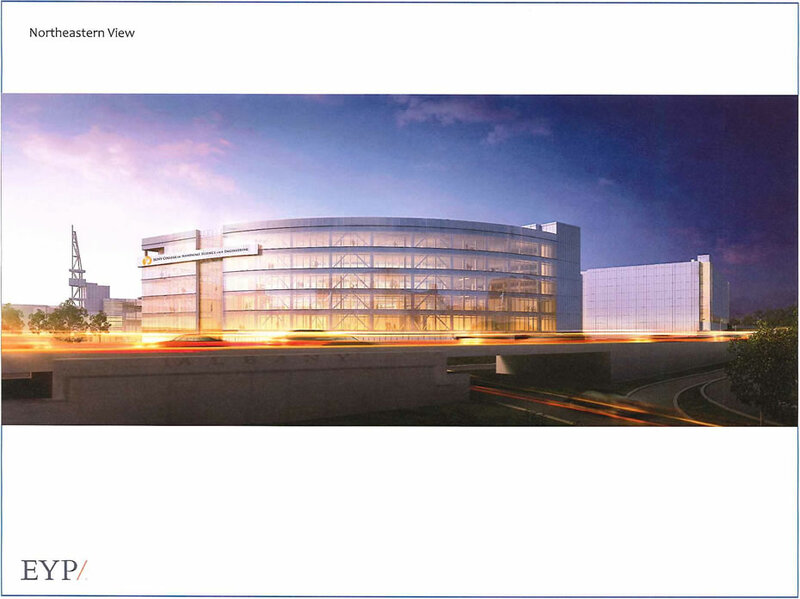 The rendering is via Capital Albany, which posted it online today. + A "DO-IT Center which will establish an environment with specialized infrastructure to educate Small, Minority and Women-owned Business Enterprises and on-site partners on emerging technology platforms"
+ It will also "provide state-of-the-art premises for existing and new CNSE partners"
Fuller Road Management Corporation, an arm of the NanoCollege, is looking for the IDA to issue $186 million in bonds for the project, and also cut it a break on $2.3 million in mortgage recording taxes. The ZEN building is scheduled to be finished by the third quarter of 2015, according to the app (early work has already started). And the application forecasts the project will help create 1,000 new jobs. Really!! Another mega building, off the tax rolls, and they can't pony up a little for the county and city via the mortgage recording tax. If the private entities utilizing this shell game (aka Fuller Road Management) can't even recognize the community they are leaning heavy on by throwing us a bone or two, they should at least have to hire directly from the city as a condition.